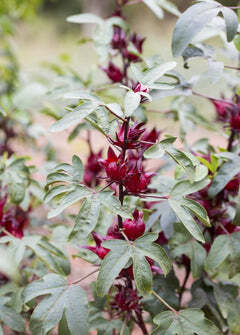 Iboza, aka Incense Bush (a name we're obsessed with by the way), is a highly aromatic medicinal herb from Southern Africa. Iboza is fast growing shrubby plant with super fragrant unique velvety leaves and showy white flowers. The name Iboza is derived from the Zulu word referring to the aromatic leaves. The Zulu culture of Southern Africa have used this plant for centuries to relieve respiratory issues, stomach aches and headaches, through simply crushing and inhaling the leaves or making a tea from them.